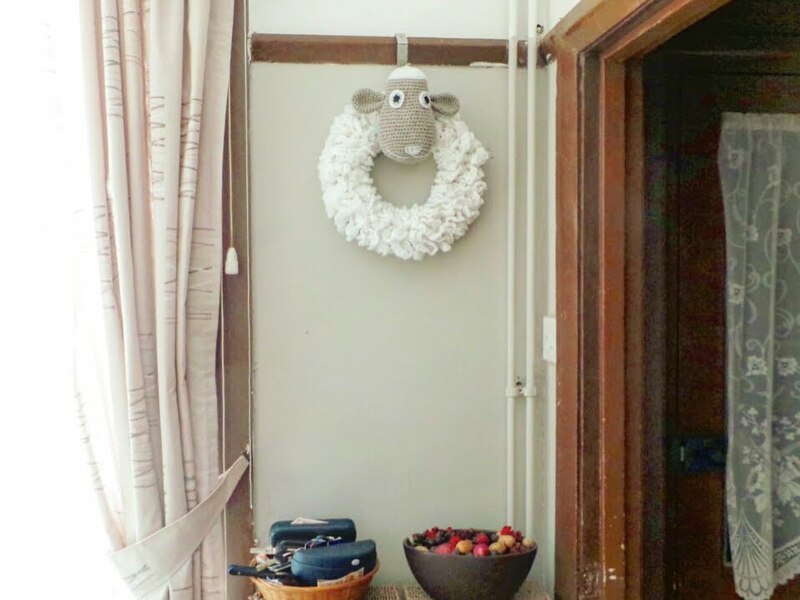 This project combines two of my favourite things: crochet and wreaths, I am an addict of both. 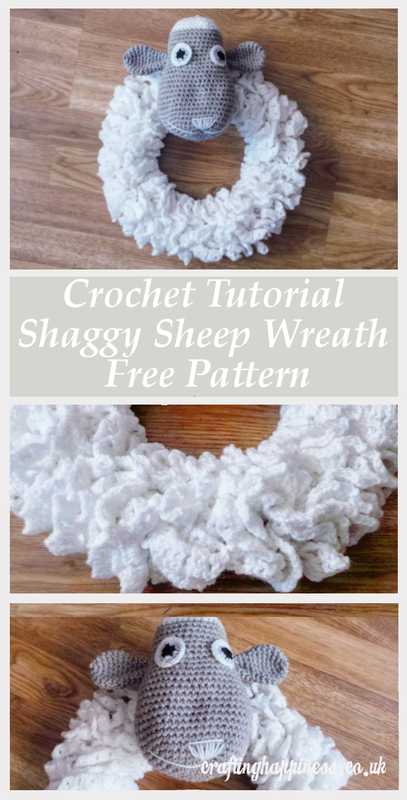 Today I will show you how to make a cute fluffy crochet sheep wreath with just yarn and cardboard. 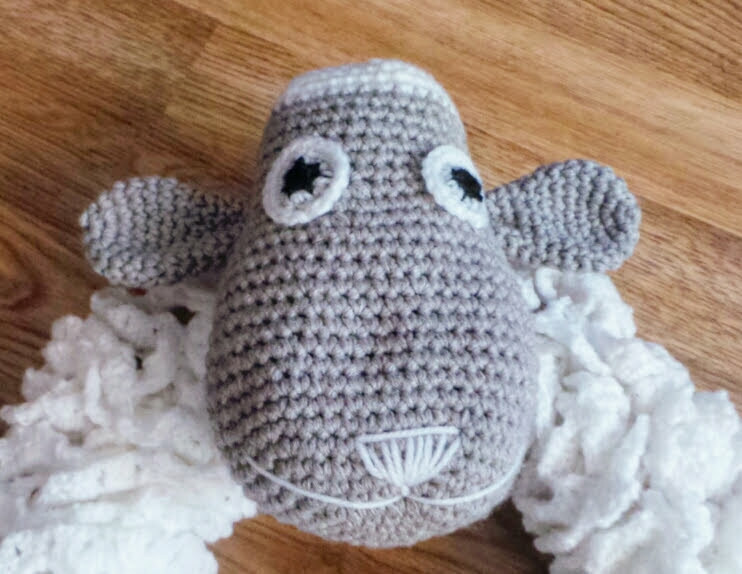 This idea came to me while i was making the cuddly sheep toy pillow. 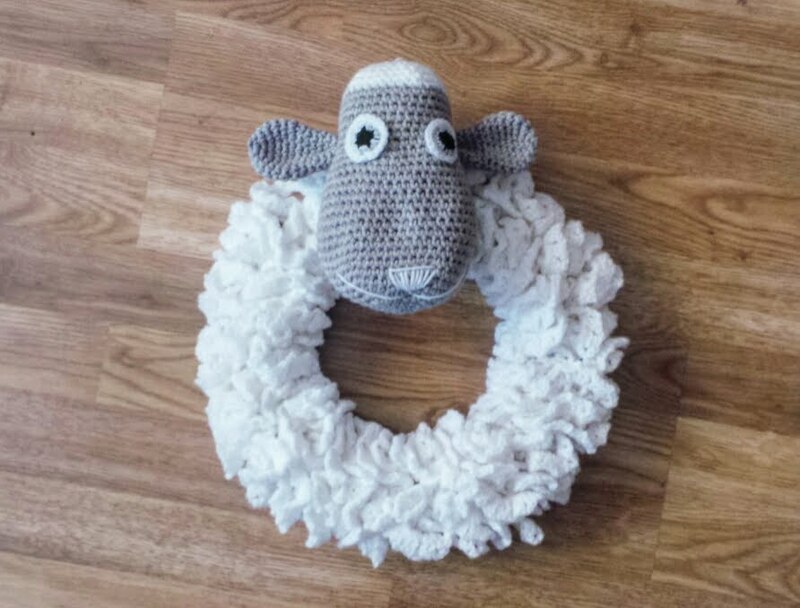 I was experimenting with lots of different crochet stitches trying to replicate a sheep's shaggy wool to add to my sheep's body and head, and even though I decided in the end to leave my sheep smooth and fluff free, I came up with the idea of turning my design into a wreath. 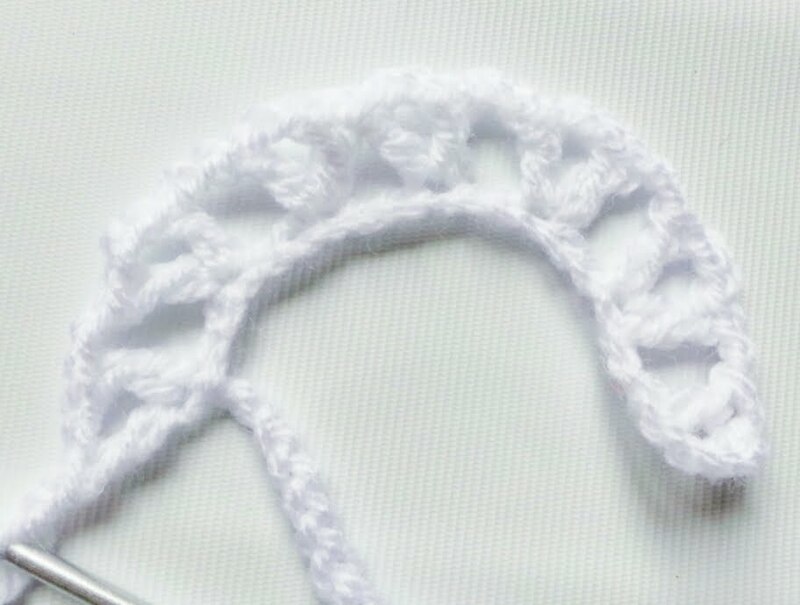 One of the stitches I was playing around with was the V stitch and as I was making it, I thought to myself it would look really cute if I make it fuzzy and curly by increasing the stitch count and add extra rows with double V stitches. 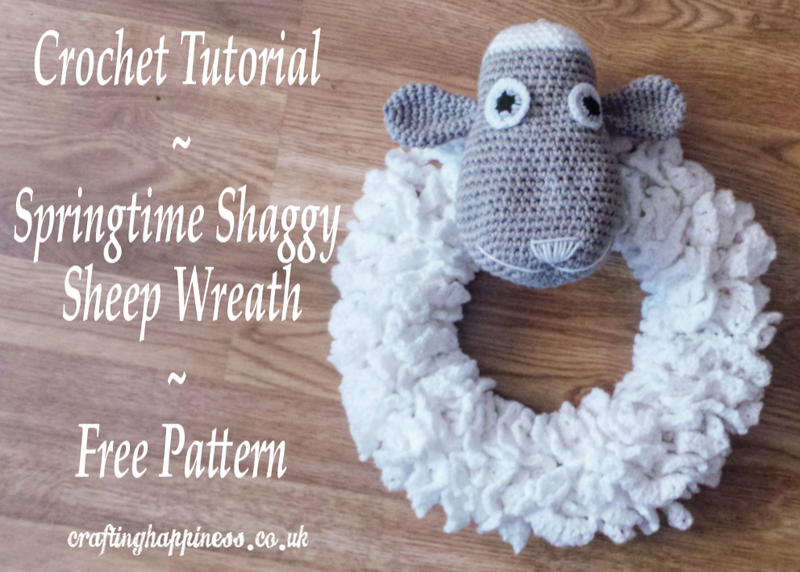 Once I've done that and looked at the end result, I knew it had to be made into a wreath, it was too cute to be anything but fuzzy, shaggy, fluffy wool of a sheep. And this is how the shaggy sheep wreath idea was born. 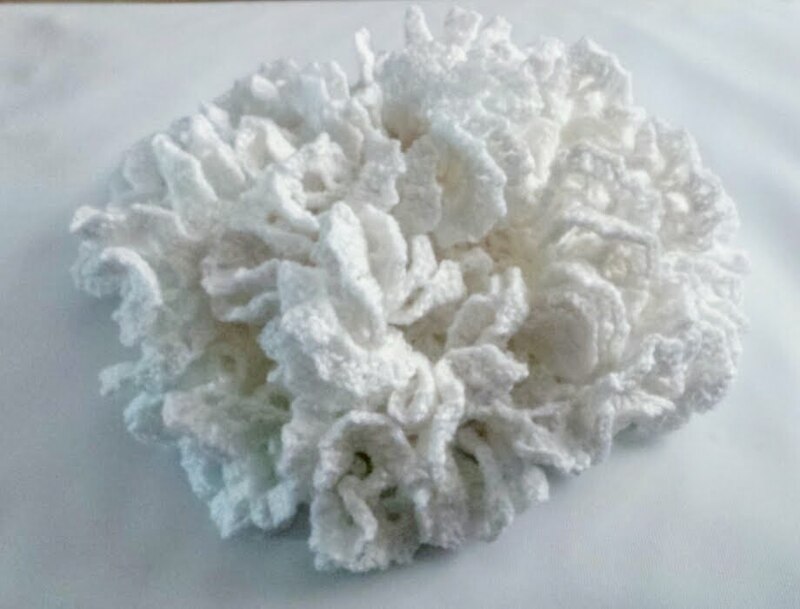 - Polyester stuffing, I forgot to add it to the picture, but you will need it for the head. Get the large print, add-free, printable PDF pattern HERE. 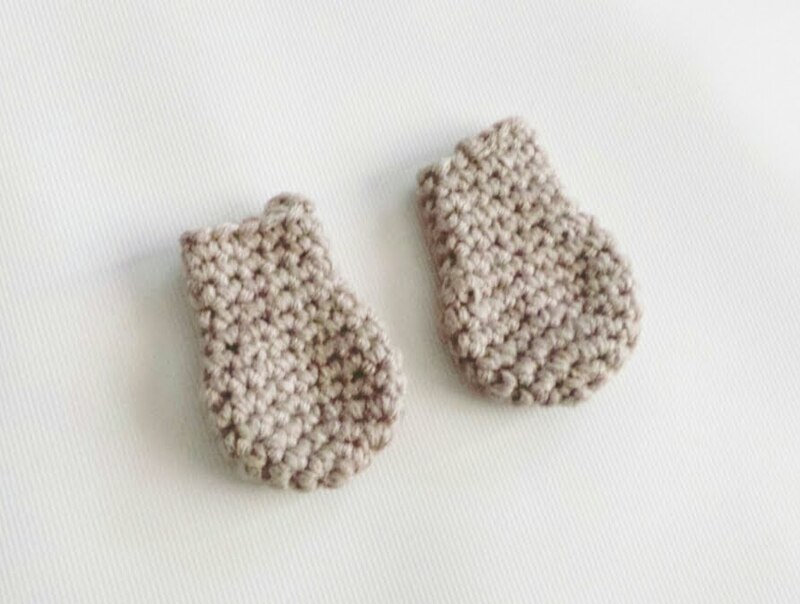 The curly cord is made of a row of double crochet V stitch and then a row of two double crochet V stitch to increase the stitch count and make it curly. 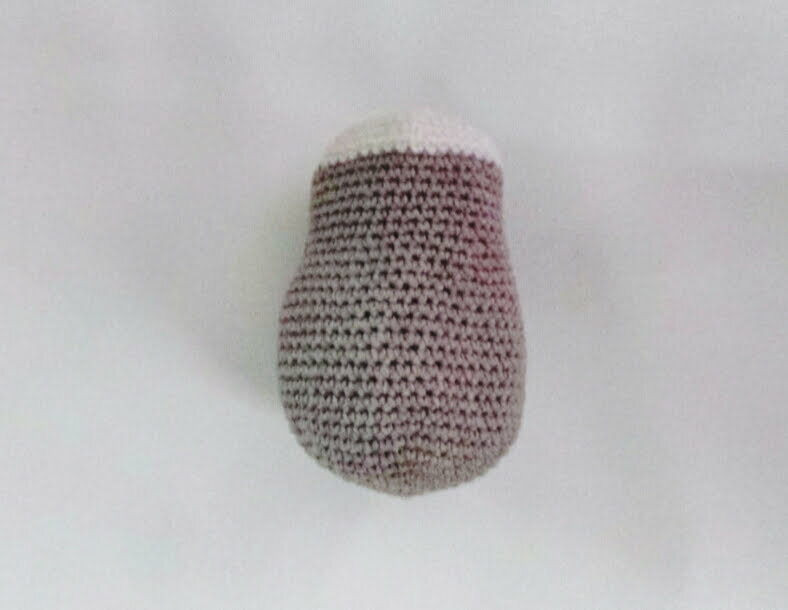 If you are not familiar with the V stitch, you can find my tutorial here. 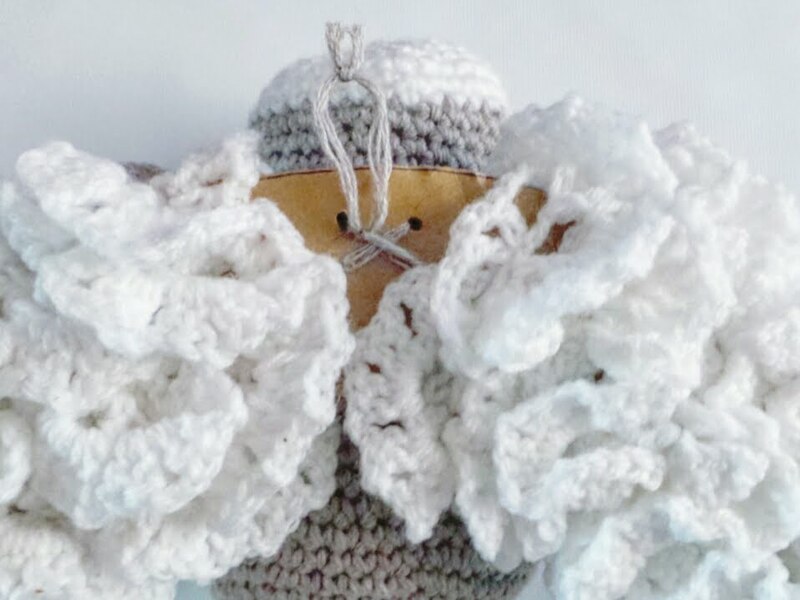 To make the cord even more fluffy, you will need to create the same pattern on the other side of the chain. Row 1: Crochet a 4.5m long chain. Yes, I know, it's a long one, but it's really easy and fast to complete, trust me. Repeat this section until the end of the chain, finishing with a V stitch. 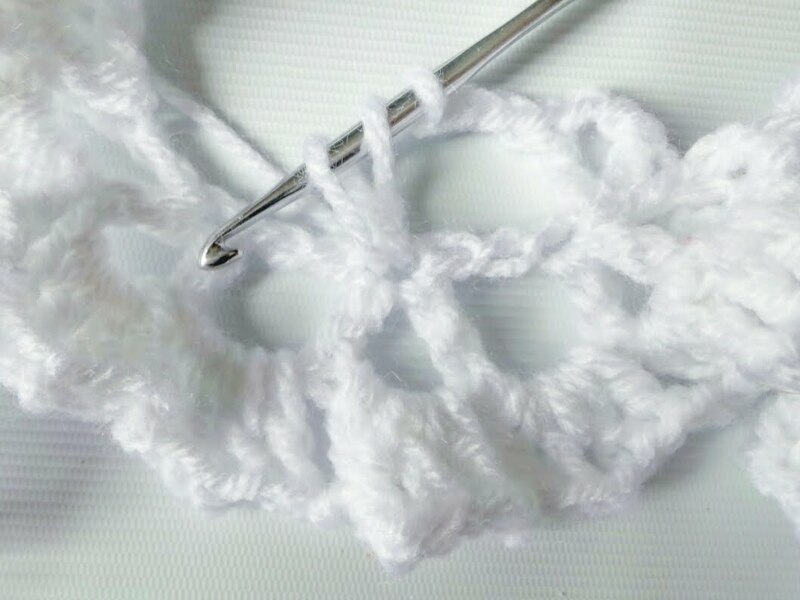 You ca find a detailed tutorial on the curly V stitch here. Row 3: The third row is made of V stitches as well, but instead of one double crochet stitch, you make two.The V stitch is worked in the loops formed by the V stitches in the row 2 and in the loops between the V stitches too. Repeat the above until the end of the row finishing with a V stitch. Close the row. At this point, the cord will start to curl up. 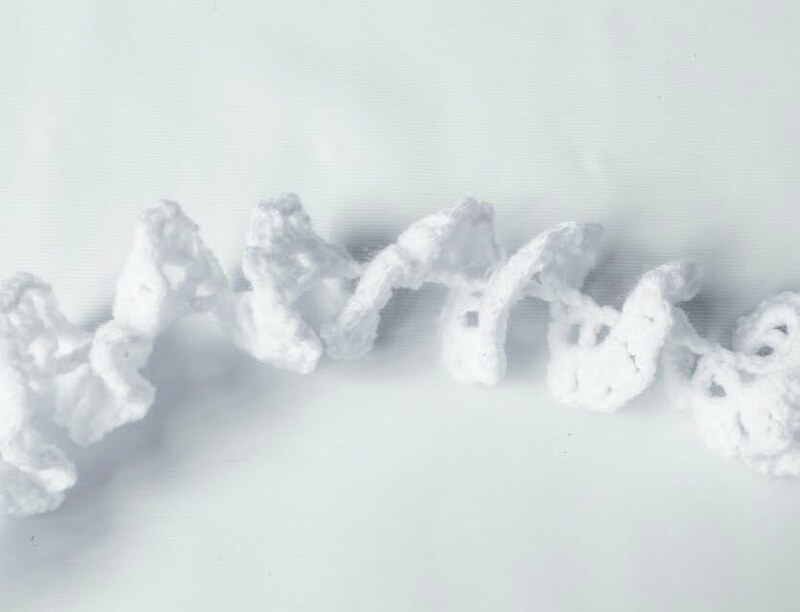 Now do the same thing again in the same chains, as shown below, this will make the cord extra fluffy. Each number at the beginning represents the row number, each number at the end represents the stitch count. 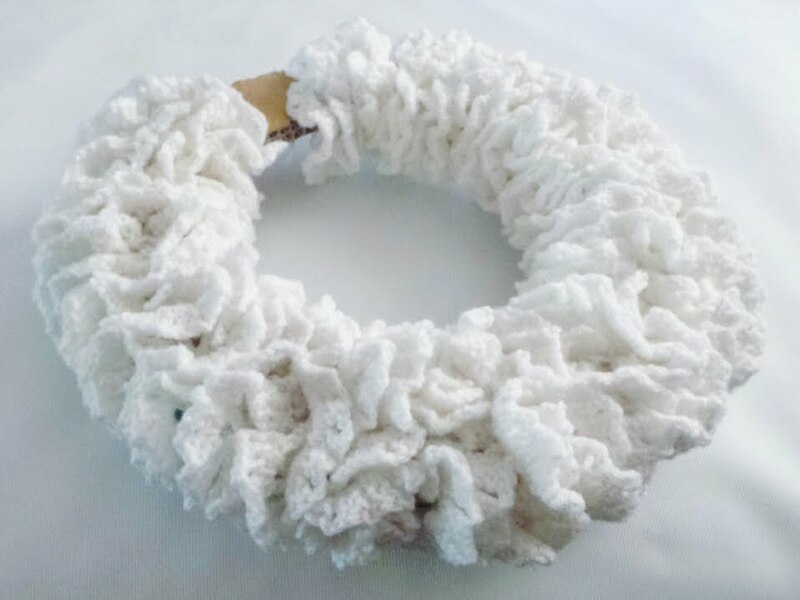 If you are not sure how to crochet a magic ring or to increase and decrease your pattern, here is a tutorial that will show you how. 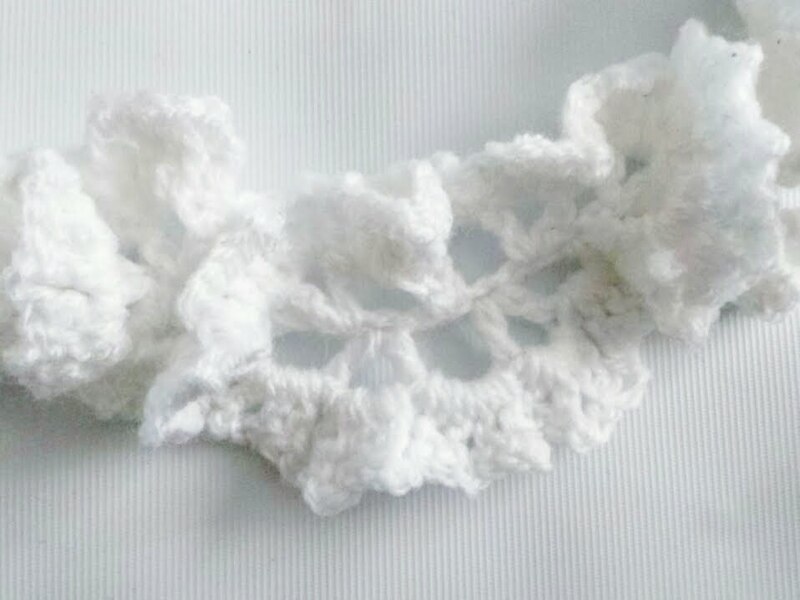 Crochet the below pattern in grey. Change colour to white. Fill the head with stuffing, then continue with the pattern adding stuffing as needed. Make the pattern twice in grey. The ears will not need to be stuffed. 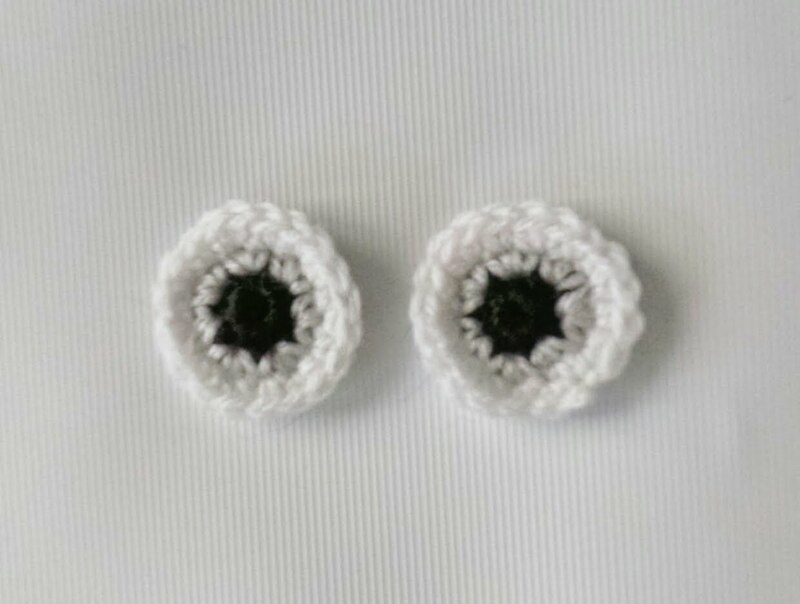 Make this pattern twice in white, grey and black. Start with the black colour. Start by attaching the eyes to the head. Then attach the ears to the head. 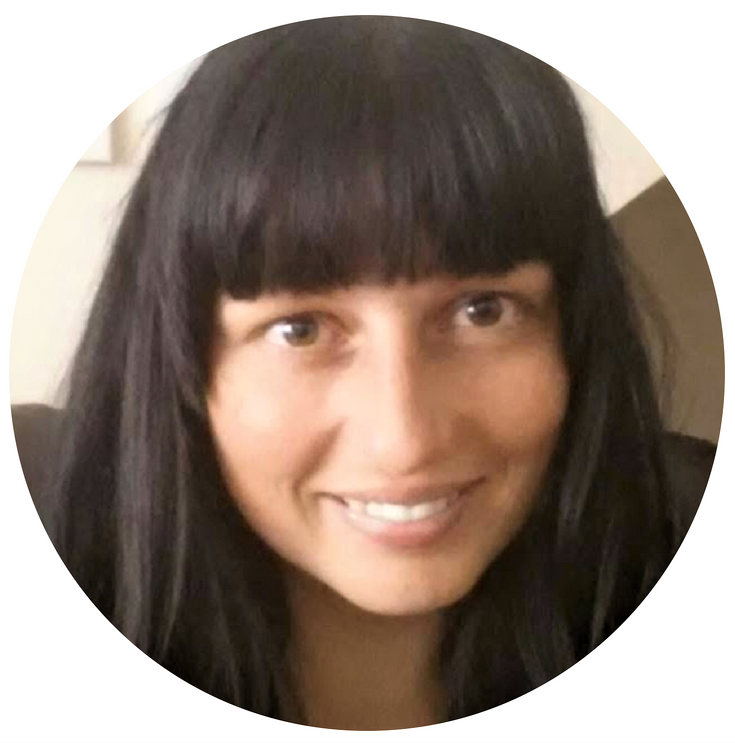 If you are not sure how to do that seamlessly, read my tutorial on it here (scroll to the end of the tutorial). At this point sew on the mouth and nose. Mine it's not exactly a sheep one, but I think it's kinda cute this way. 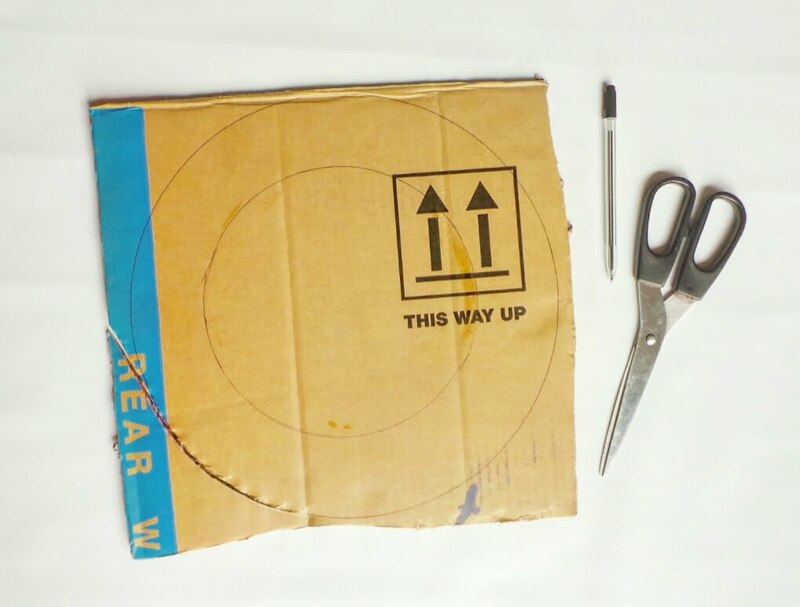 Draw a large circle on the cardboard, 30cm in diameter, then draw a smaller one inside it, 20cm in diameter, then cut it out. 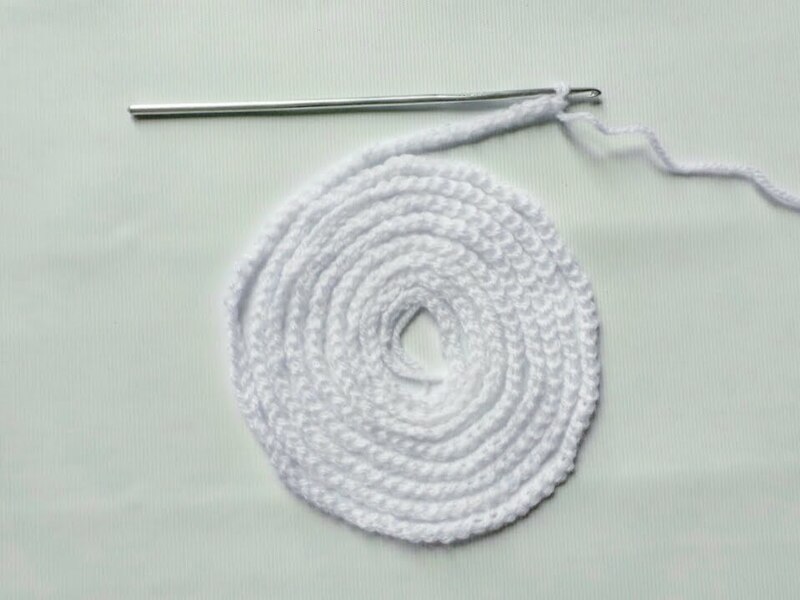 Wrap the curly cord around the circle. Make it tight, then tuck in the ends. Finally, attach the head to the cardboard circle. 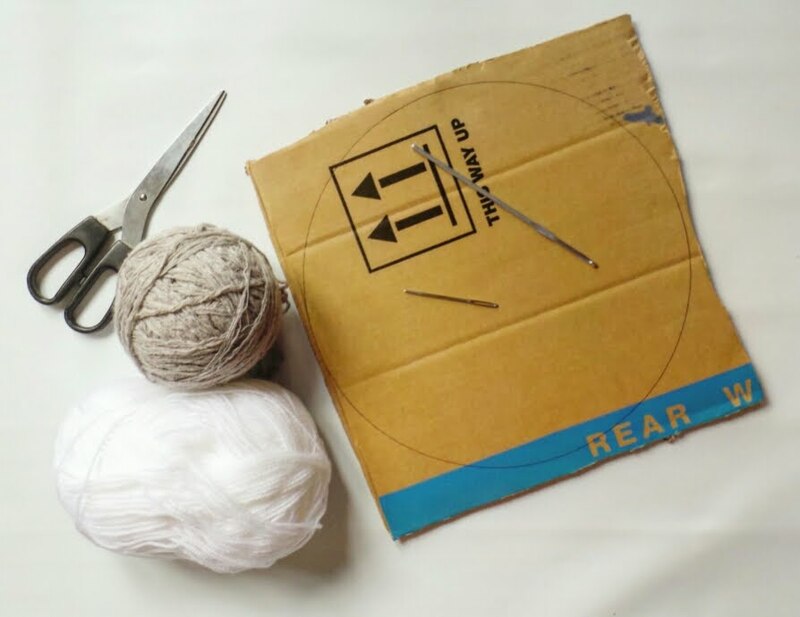 I parted the curly cord and attach the head to the cardboard with a couple of sew stitches. 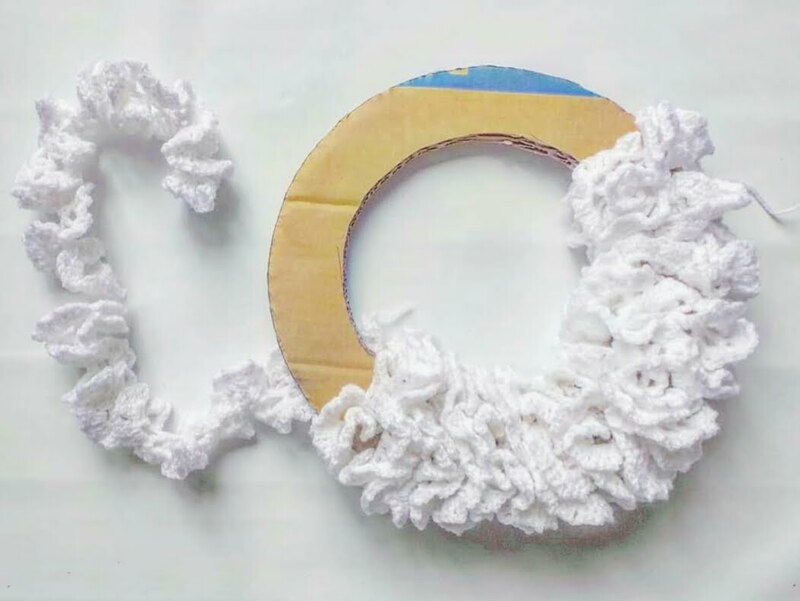 The ends will form the loop to hang the wreath to the wall. And here is the end result. Mine ended up hung in the living room. And don't forget, you can get the large print, add-free, printable PDF pattern HERE and add it to your Ravelry queue HERE.